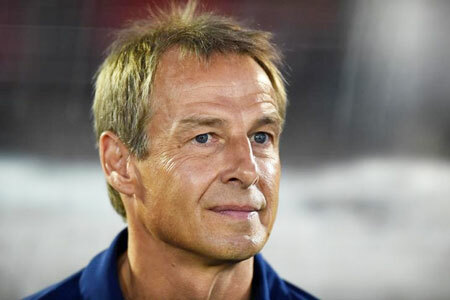 United States coach Jurgen Klinsmann has turned to experience for next month's Copa America Centenario on home soil, but said he had to make some "very close, tight decisions" before announcing his 23-player squad on Saturday. The roster includes 15 players from the squad that reached the round-of-16 in Brazil at the 2014 World Cup, and a total of 18 who have already appeared in qualifying for Russia 2018. Veterans such as team captain Michael Bradley and Clint Dempsey will provide leadership in a squad boasting an average of 37 caps per player for the 100th anniversary of soccer's oldest international championship. "This roster really was put together based on what we saw over the last year, and it's one that makes us the strongest team possible to compete in Copa America and to hopefully surprise a lot of people," Klinsmann said in a statement. "Obviously when you get down and you decide on the final 23-man roster, there are very close, tight decisions to make. The moment when you decide, it's about definitely who you feel the strongest about." The United States, one of four seeded teams for the tournament as the hosts, face a tough task in Group A where they have been drawn alongside a pair of 2014 World Cup quarter-finalists in Colombia and Costa Rica, and also Paraguay. Their opening match against Colombia on June 3 at Levi's Stadium in Santa Clara, California launches a 16-team version of the South American championship that has expanded by four teams and is being staged outside the South American CONMEBOL nations for the first time.